strengthMuscle strength and power that takes place in Pilates, that is, helps you develop both brute force compared with other physical activities or sports. 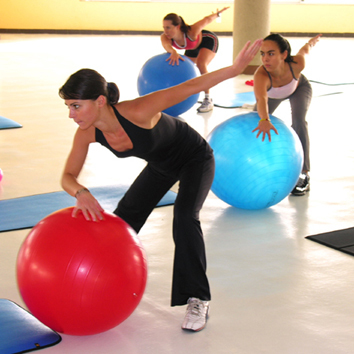 EnduranceCardiovascular endurance constantly providing Pilates practice, that is, how much help you cope ejercitándote long compared to other sports or physical activities. 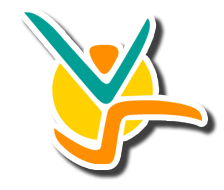 AgilityAbility to move the body as desired quickly and accurately obtained by practicing Pilates, constantly compared to other physical activities or sports. ReflexesAutomatic responsiveness to stimuli is achieved spontaneous Pilates, practice compared to other sport or physical activity. 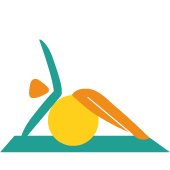 AccuracyHow much will dominate specific body movements to achieve the same result to practice Pilates, compared to other sports or physical activities. BalanceBoth are able to control the body's muscles to prevent the imbalance by making Pilates unlike other sports or physical activities. ConcentrationThe ability to focus mind and senses intention to achieve a specific goal that is acquired by practicing Pilates, compared to other sports or physical activities. ToningStylization of the body and muscle derarrollo pruduct of optimal levels of body fat that comes from Pilates, compared to other sports. Calorie BurningThat many calories are burned while practicing Pilates, when compared to other sports or physical activities. Developed by Joseph Hubertus Pilates, Pilates is a complete fitness system which aims to achieve precise control of the body in the most healthy and efficient way possible without increasing its volume, is considered a philosophy of training the body and mind. Pilates allows the practitioner to achieve harmony of body and mind as you develop strength, balance, control and flexibility of your body. Contrary to what many may think, this discipline is not to lift weights or perform repetitive movements, but practiced activities of tension and stretching of the limbs, where the abdomen and torso are the focus of attention. Unlike Aerobics, does not follow a rhythm of music nor accelerate the movement, this method is based on an exercise program slowly and controlled, where breathing, concentration, alignment, control, centralization and fluency play a key role. It is practiced with machines designed specifically or on the floor on mats, always under the supervision of a professional. The activities are performed in positions of rest, lying, sitting, kneeling or leaning. It can be practiced by anyone regardless of age and the results are visible in the short term. Created by German Joseph Pilates in the early twentieth century, using his knowledge of yoga, martial arts, bodybuilding and anatomy to develop a system of physical and mental conditioning which did not require a physical exhaustion. He called it "Crontología" and defined it as science and art of the coordinated development of body-mind-spirit through natural movements under strict control of consciousness, referring to the use of the mind to control the body as it seeks equilibrium and unity between them. Then he changed his name to Pilates Method in his honor. While installing his first studio in New York (1940), the method quickly became popular in the dance world, secretly being used as part of the training for dancers, but also was used as a rehabilitation technique and conditioning. After his death the method spread through his wife and his former students, who certified the method spread throughout the U.S. and Europe. Currently has gained great popularity thanks to the practice by movie stars, athletes, hospitals and physical rehabilitation centers to address injuries. Center (Powerhouse): Focal point, all the work starts from and is supported through the Center. Concentration: The mind is the guide. Control: When you work with the first two principles obtains control over the movements. Accuracy: It works with quality rather than quantity. Respiration: The rhythm to follow is to continue breathing, inhale at the height of effort and exhale, bringing the impure air out from our lungs. Fluidity: A minimum of motion corresponds a maximum fluidity. As its name says it is done on the ground with the help of accessories such as elastic bands, stability balls, rings, rollers and blankets. Work a higher intensity level than is done in the ground, characterized by the management effort against or in favor of a series of springs of different strengths. The devices help to complicate the execution of an exercise that was done correctly since before. Among the machines used are the Trapezius, Reformer, Barrel, Cadillac, etc.